There has always been a pride and often a preference toward Canadian-made aircraft. During our aviation conversations, we often talk about the good ol’ days when de Havilland Canada was pumping out legendary aircraft like the Beaver, Twin Otter and Dash 7. 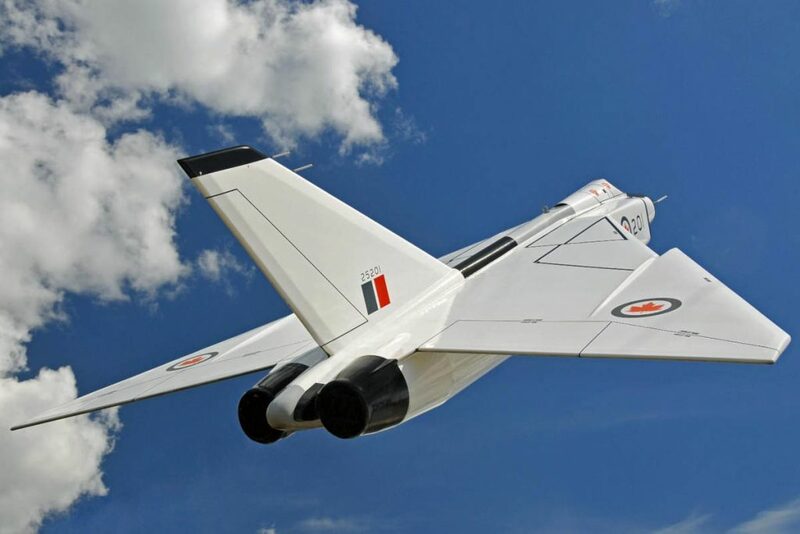 Around the same time, Canadair was giving us several contact-built fighter aircraft, as well as the giant CP-107 Argus and the ground-breaking CL-84 Dynavert. Of course, who can forget Avro Aircraft and the marvellous CF-105 Arrow (pictured right) or Pratt & Whitney Canada with its impressive PT6. It seems we always consider those times as the best of Canadian aviation and we have a constant concern when looking at the ownership of the current global aviation landscape. There are always fears that foreign ownership will result in the loss of Canadian jobs – and ultimately the loss of knowledge and talent. These fears are not completely unwarranted. There have been several major domestic aviation companies that have been purchased by foreign organizations in recent years. This includes Diamond Aircraft being purchased by Wanfeng Aviation; Cirrus Aircraft being bought by China Aviation Industry General Aircraft; Teledyne-Continental Motors being purchased by AVIC International; and Money Aircraft being bought by Soaring America Corp. The most recent change seems to hit closer to home, with Airbus taking 51 per cent of the Bombardier CSeries program, which Airbus has subsequently renamed as the A220. But let’s look at what has resulted from these ownership changes. In the examples of Diamond and Mooney, it has resulted in dramatic hiring initiatives and an increase in production. For Mooney, it has resulted in a restart of production. While the changes with the CSeries/A220 are still developing, there have already been signs of increased interest from buyers and a commitment to Bombardier’s Canadian facilities. All of these points are promising for the future even if there are many who feel these cannot bring long-term benefits to the country, because of the potential negative externalities. For those glass-half-empty individuals, it is worth looking at the past and those companies I mentioned above. de Havilland Canada was a subsidiary of de Havilland UK, which was later purchased by the Hawker Siddeley group. In addition to de Havilland, Avro and its engine manufacturer, Orenda, were also owned by Hawker Siddeley. Canadair for many years was owned by General Dynamics of the U.S. and Diamond Aircraft has always been the North American component of its Austrian parent company until its recent sale to Chinese interests. It may seem there really isn’t a true Canadian aviation company, but don’t despair. Regardless of the eventual top ownership, aviation is thriving as one of the widest ranging and most advanced industries in the world. Bombardier has its record-breaking Global business jet family, as well as the Q400 regional turboprop. Pratt & Whitney produces not only the legendary PT6, but many other top-tier engines. We also have companies such as Héroux-Devtek and UTC Aerospace Landing Systems producing the world’s best landing gear assemblies. There is also another company that is still truly Canadian made, Viking Air of Victoria, BC. Viking holds the type certificates for the former de Havilland Canada line from the DCH-1 Chipmunk to the DHC-7 Dash 7. It also manufactures the new DCH-6-400 Twin Otter Series 400. More recently, Viking purchased the type certificates for the CL215/415 from Bombardier. From this move, Viking is in the works to introduce the CL-415EAF Enhanced Aerial Firefighter. This program is being conducted through its sister company Longview Aviation Services in collaboration with Cascade Aerospace. Canada has a long and distinguished aviation history. We have and continue to produce some of the most-advanced and remarkable aircraft and components in the world. Our companies for the most part have always had an outside parent company or a major partner, yet they are still here. There are plenty of jobs available and the industry is growing – in some sectors at an unprecedented rate. Foreign interests in our companies, when conducted properly, can be a very healthy and productive step for the future of Canada. We have made mistakes in the past, but if you look at the current industry, and how it has evolved, you can see business is very healthy. The world changes quicker than ever, but the Canadian aviation industry has proven itself as a catalyst of change and as a master of adaptation. Tim Anderson, AME M1, M2, is a commercial, multi IFR pilot; co-owner of Anderson Aviation; and a professor at Fanshawe’s Norton Wolf School of Aviation Technology.